Note: we mention a lot of brands and products in this post. At this time, no company has sponsored this post. We just like this stuff 🙂 . When putting together an independent film budget, you’re going to want to make sure to set a realistic number for post production services. Yesterday I was budgeting three thirty-second videos with an editor’s hourly rate of $165. The budget for post ended up being around $1,800. Now, this was for a commercial agency project, but imagine you’re budgeting for a short film–a project that will require way more than twelve editing and color grading hours. And if you want to save even more time and money, don’t forget that we’re offering free video editing services with Maestro Filmworks to a filmmaker who enters one of our contests. Take a lower video editing and color grading rate, say, $100 an hour. Let’s say it takes 50 hours to edit your ten minute film, including color grading, audio mixing and sound design, scoring, rendering/exporting, subtitling, writing the credits, etc. That’s $5,000. Wouldn’t it be better to spend that money on production? Check out our free film budget template to see how saving on post will affect your bottom line. This blog post is full of resources–some free, some paid–to help you master the post production and editing workflow so you can save thousands of dollars on producing your independent films. Even if you take advantage of the paid resources we link to, you’re going to spend much less in the long-term by teaching yourself these skills and doing the work yourself. Pick your editing software toolsets, preferably ones that are free and industry-standard. The first thing you’re going to want to do is be prepared and familiarize yourself with what kinds of tools you’ll need for your project. DaVinci Resolve is on a mission to be the only post production tool you will ever need. And so far, we’re impressed. 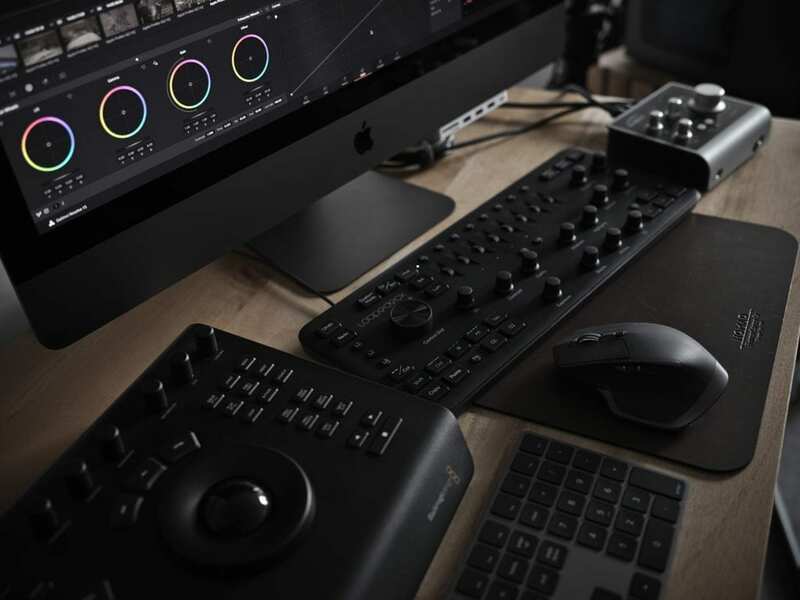 They’re already the industry standard color grading suite, but now they offer a fully-fledged non-linear editor (NLE), audio mixing and recording tool called Fairlight, an animation and compositing tool called Fusion, as well as their classic color grading tool. Resolve also includes extensive exporting options like you’d get with Adobe Premiere. You can’t really go wrong with Resolve when you’re looking for free video editing software. And to get the full capabilities only requires purchasing a dongle for $300. If you feel overwhelmed by all of that, Resolve separates its features with useful tabs, so that you’re really only seeing one program at a time. It is a lot, though, so to take full advantage of all of the features, we recommend taking some online courses to learn it. More on that later in the post. 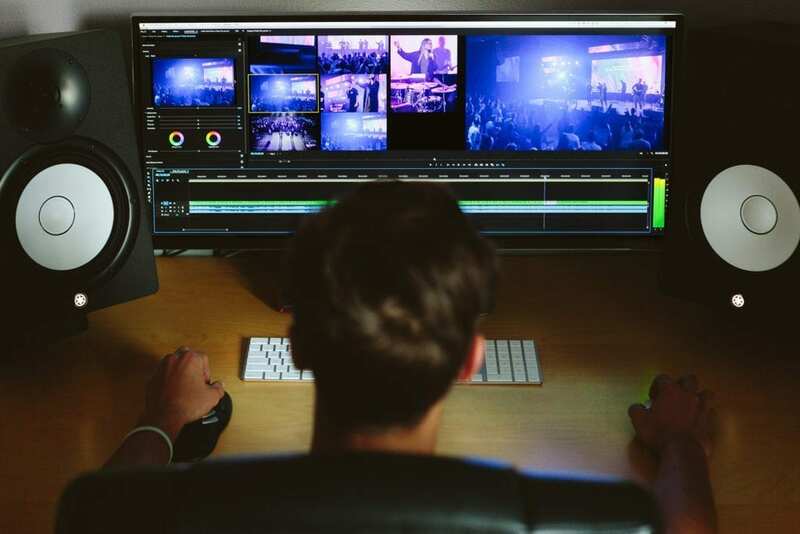 If you’d rather separate your programs, you can use another video editing program called LightWorks, which has been used on feature films such as Pulp Fiction, Aviator, Bruce Almighty, Scream, Braveheart, and more. It’s a good option for linux video editing software, too. To convert your videos, adjust codec or framerate settings, and do more technical video file stuff, use Handbrake. Also free. For compositing, if you don’t want to use the new features in Resolve, check out Blender. It’s free and open-source, has tons of resources, and you can download model files to get started. Jumping straight into something like Autodesk Maya would prove complicated and expensive. To really give your films the aesthetic you desire, you can purchase plugins from companies such as Red Giant. And don’t forget about editing for mobile and social media, particularly Instagram. Don’t waste your budget on expensive post production houses in NYC. Save thousands on your budget by learning to do it yourself. An added perk: once you’ve spent hours and hours building your skill sets, you may be able to get a post production job somewhere. Don’t pay for music, foley, or sound effects. A lot of people overlook audio post production and sound design. But as any good filmmaker will tell you, sound represents half the film. It’s really a must. But good sound doesn’t have to mean expensive sound. Get yourself a decent pair of headphones, a microphone, and an audio recording device such as a Zoom or Tascam. 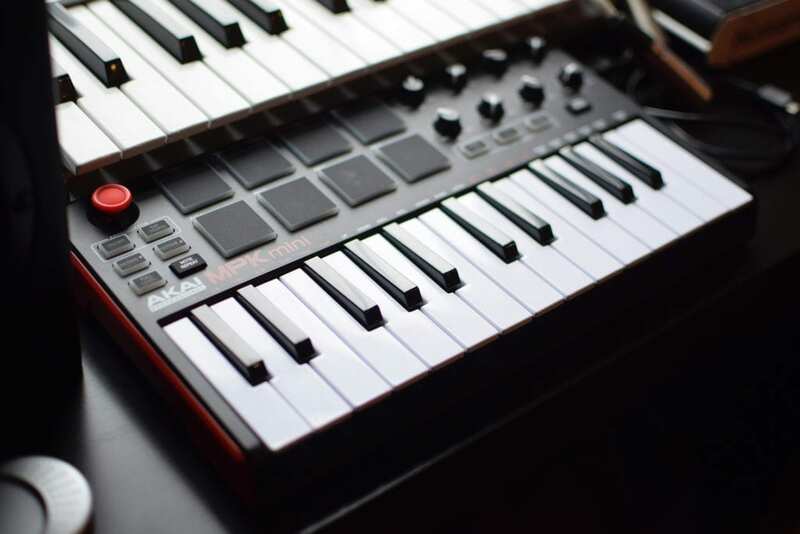 If you’re musically-inclined, grab a MIDI keyboard and record something yourself. Or grab a musician friend. And when it comes to sound effects and previously-recorded music, use royalty-free resources such as Freesound.org, SoundCloud, Moby Gratis, and any other sites that have music labeled with the Creative Commons license. Always try to use free music for video editing when possible. There are resources out there. We’re not saying to completely cut your sound designer out of the budget, but you can save a ton on a lot of costs that go into sound design. Get gear on the cheap. My home editing suite consists of a MacBook Pro, an external monitor, a high-speed external hard drive, two studio monitors and stands, an audio interface, and a computer mouse. Not counting the 4K video editing laptop, I paid less than $300 total for the rest of the components. How? Craigslist, eBay, and I found the computer mouse in an old box of computer components in the closet. This setup exports 4K footage just fine. Even though 4K is unnecessary a lot of the time. 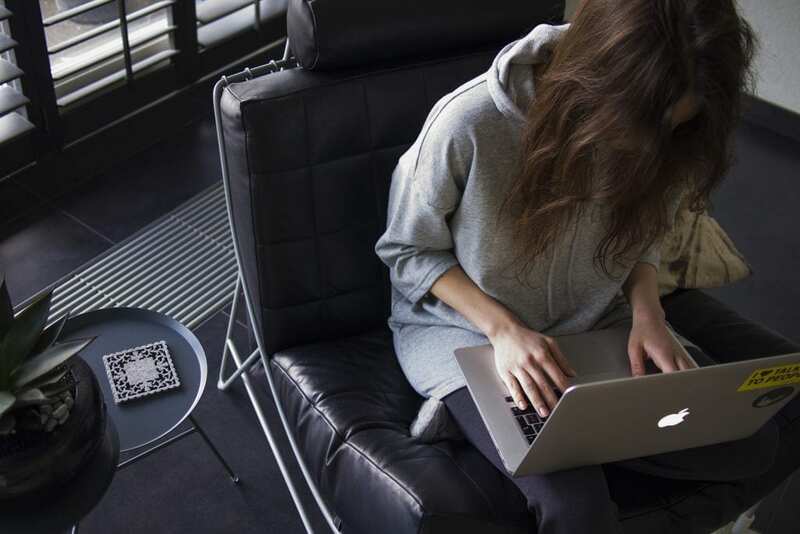 You don’t necessarily need to obsess over getting the best laptop for video editing. 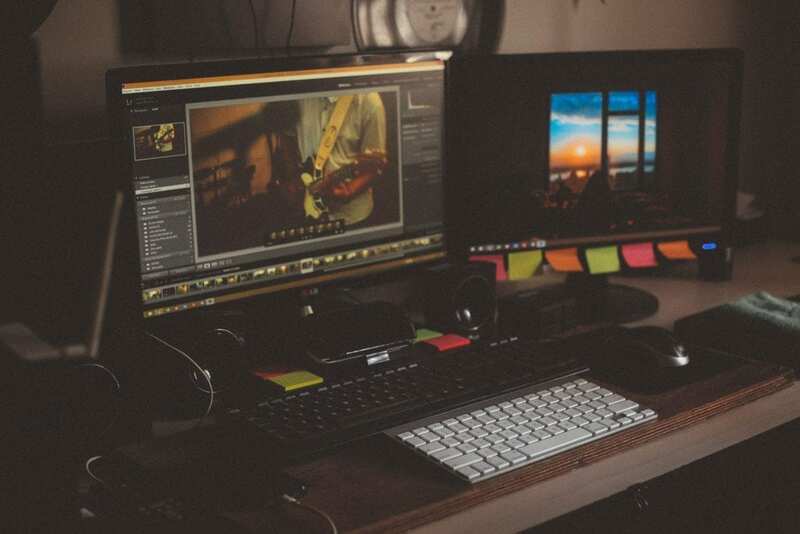 But even if you do want a high-end rig for cropping, rotoscoping, or what have you, you can save money by building it yourself or buying one of the best video editing laptops. Googling things such as “video editing PC build” and “how to build a PC” will yield tons of instructional resources. For Mac users, if you’re willing to break some terms of service, you can build what’s called a Hackintosh–a macOS living inside of off-the-shelf PC components. Just be sure you’re buying a compatible power supply, graphics cards, etc. Educate yourself on your toolsets. After downloading your software and secured your gear, it’s time to fill your knowledge gaps. You can find inexpensive video editing classes on Lynda, Udemy, and even on YouTube. Now that you’ve realized how much money you can save on post-production by learning it yourself, you can get more creative with how you pitch your project to get up to $10,000 to make it.